Flowing over and around huge slabs of limestone, the Pedernales River can be turbulent. But most often it is tranquil, and a great place to relax and recharge. At Pedernales Falls State Park, visitors can camp, hike, mountain bike, picnic, geocache, bird watch and ride horses. On the river, you can swim, wade, tube or fish. Look for local wildlife and plants at the bird blind and butterfly garden." 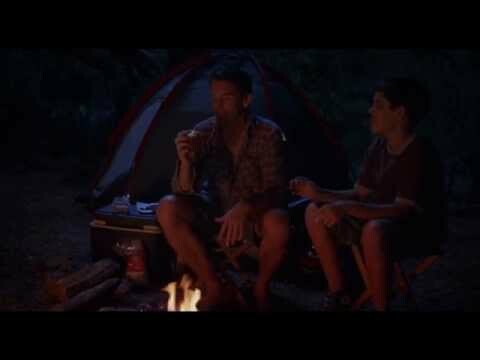 A popular camping destination in the Texas Hill Country, the father-son duo in Boyhood spend some quality time outdoors complete with s'mores, swimming and life lessons that include the cultural significance of Star Wars.